The FX BOLT is an autoclick application. It enables users to trade economic news in real-time. 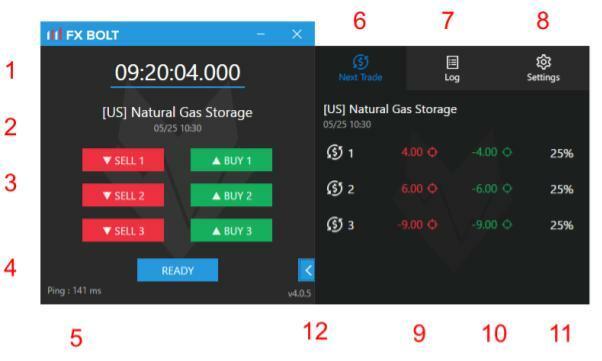 Users place pixel clicks on the order windows or DOM of their trading terminal. If a news report is released and a trigger condition met, the FX BOLT will click on the order window or DOM and execute the order.